An award has never looked so realistic! 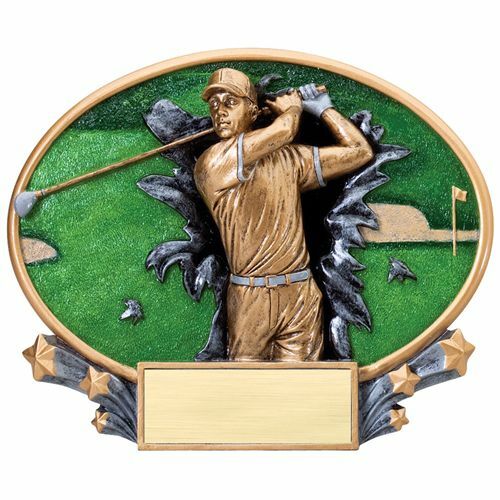 Featuring 3D full color action images with gold highlights, and personalized plate included, you'll have everything you need to recognize your star athletes. Various sports available. Have used this company for twelve years. Great customer service.The last time I placed an order I made a mistake, and they treated it as if they made the mistake. Had it corrected within a day.